I love learning more about saints. And I love helping my kids learn more about them too! 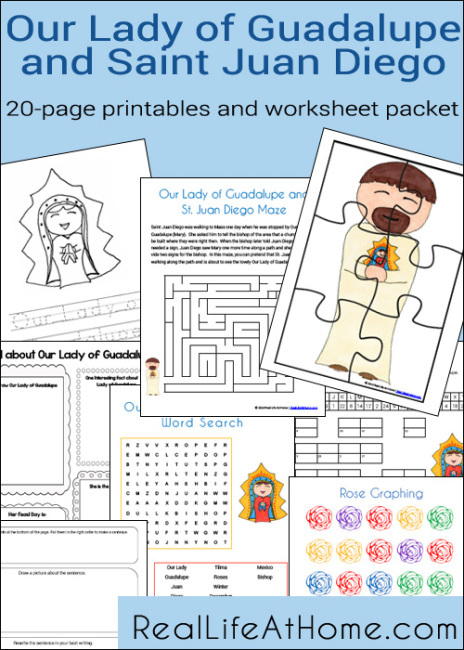 This month, Angie at Real Life at Home has Our Lady of Guadalupe and Saint Juan Diego printable pack available to her readers. The cost for family use is free and co-op, class or group use is a $2.50 minimum donation. For 20 pages of fun and learning, those prices sound great to me! Head on over and check this printable pack out for yourself!